Migraines and Seizures - Are They Related? Home » Blog » Migraine/Headache » Migraines and Seizures – Are They Related? Migraines and Seizures – Are They Related? If you have migraines, you are not suffering alone. In only a three-month period, as many as 23 percent of those in the USA have at least one migraine. Those who have epilepsy get migraines two times more often than the general population. When migraines and seizures occur together, it is referred to as migralepsy. This is a rare condition in which migraines are followed by an epileptic seizure within an hour. Both migraines and epilepsy have similar signs and symptoms. They are both neurological conditions with psychological issues and autonomic distress, making it more likely that one can cause the other one to occur. However, it seems as if migralepsy often goes undiagnosed or the individual conditions are diagnosed instead of being diagnosed together, as migralepsy is a rare condition. The connection between migraines and epilepsy has been the main subject of many scientific studies. However, it still remains misunderstood. Is it the migraines that cause the epileptic seizures, or do the seizures bring about migraines? Here are a few facts you will want to know if you or anyone you know suffers from this condition. Chronic depression is seen both migraines and epilepsy patients. One study on migraines and epilepsy revealed that there was a 20 percent increase in migraines in patients having epilepsy. Dr. Douglas Davidson first coined the term migralepsy. Patients who have epilepsy and also have migraines report their epileptic seizures happen before or during a migraine with aura in about 16 percent of the cases. Migralepsy is seen more often in children than adults. Doctors will often prescribe their migraine patients certain anticonvulsants (like Topamax) due to the strong correlation between migraines and epilepsy. However, these medications come with debilitating side effects such as memory loss, dizziness, and chronic fatigue. Patients that have a migraine with aura are 10 times more likely to get epileptic seizures than those without migraines. Approximately 6 percent of migraine patients have or will have epilepsy symptoms. To learn more about the connection between head and neck injuries and migraines download our complimentary e-book Natural and Drug-Free Ways to End Your Migraines by clicking the image below. A 21-year-old female was seen by a neurologist, Dr. Mark Green, because of headaches and convulsions. She had migraines with light and sound sensitivity and nausea about 3 times a month. However, 3 to 4 times a year she had an episode where she would feel ill and then wake up on the floor. Witnesses described her as going through convulsions. After this occurred, she would get a throbbing headache and nausea but did not have light and sound sensitivity. This lasted until she went to sleep at night. She reported seeing some zigzag lines on the right side of her vision, lasting about 10 minutes with a headache just before. During her menstruation, she experiences both seizures and migraines more often. The zigzag lines she is seeing follow the pattern for an aura before a migraine. Many of those with epilepsy have auras as well. However, the latter often have a rising feeling in the chest, but visual disturbances can occur too. It’s hard to know if the aura is the warning sign of a migraine or a seizure. Many seizures are followed by migraines. Current research shows that the cortex of the brain in those with migraines is hyper-excitable, making them more sensitive to triggers that do not bother others, such as drinking wine, hormone cycles, and weather changes. When we consider this, it makes sense then that epilepsy occurs in people with migraines as this too is similar to an electrical storm in the cortex of the brain. In diagnosing the above patient, an EEG was done that confirmed her seizure disorder. She was therefore diagnosed with migralepsy since her seizures followed her auras. Interestingly, as we have seen, migraines and epilepsy are so closely linked that it appears there may be a common underlying cause. As noted above, electrical signals in the brain seem to be misfiring. It is vital to find out why to be able to correct this and to see relief for both of these conditions. So, what may be the underlying cause of migraines and seizures? Oddly enough, the problem may very well lie in the neck. If the brainstem is sending improper signals to the brain for any reason, electrical signals in the brain can begin to misfire. It has been discovered that a problem with the brainstem can be caused by a misaligned vertebra. The C1 and C2 vertebrae were designed to protect the brainstem from damage. However, they are also susceptible to misaligning easily, which results in putting pressure on the brainstem and causing it to malfunction. A case study of a 23-year-old male can help us see what correcting neck misalignments can do. He presented with rapid-cycling bipolar disorder, sleep disorder, neck and back pain, migraine headaches, and seizures. He hit his head from the height of 10 feet while attempting to pole vault at age 17 during a high school track meet. Before that, he had no health issues. He began seeing immediate positive results upon having his first adjustment by an upper cervical chiropractor. After 7 months of care, he reported being completely free of any of the original symptoms he had. Here at Pancake Wellness Center in KIssimmee, Florida, we use a gentle method to help realign the neck bones. This results in a longer-lasting adjustment than one that uses force by popping or cracking the neck or spine. Our patients report seeing relief from migraines and epilepsy as well as other health problems connected to this type of misalignment. To schedule a complimentary consultation with Dr. Pancake call (407) 846-9355 or just click the button below. 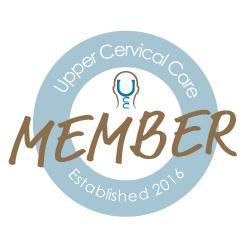 if you are outside of the local area you can find an Upper Cervical Doctor near you at www.uppercervicalawareness.com. ← Vertigo: What Is It? Can a Blood Test Detect It?